Amy Kindstedt was diagnosed with pleuropulmonary blastoma (PPB) in 2014, a rare cancer often caused by a mutation in the gene DICER1. Genetic testing revealed that Amy’s baby brother, Hunter, had the same mutation. Amy Kindstedt hates cancer, but the 9-year-old is very thankful for one thing: Because genetic testing on her baby brother Hunter revealed he had the same genetic mutation she did, his cancer was caught much earlier – possibly sparing him the same level of intense treatment she endured. The mapping of the human genome has ushered in the age of precision cancer medicine, in which an individual’s treatment can be tailored to the specific genetic abnormalities of his or her disease. In recent years, much attention has been brought to genetic testing for cancer risk, particularly around Angelina Jolie and her decision to undergo preventative surgeries. But genetic mutations don’t just affect adults. 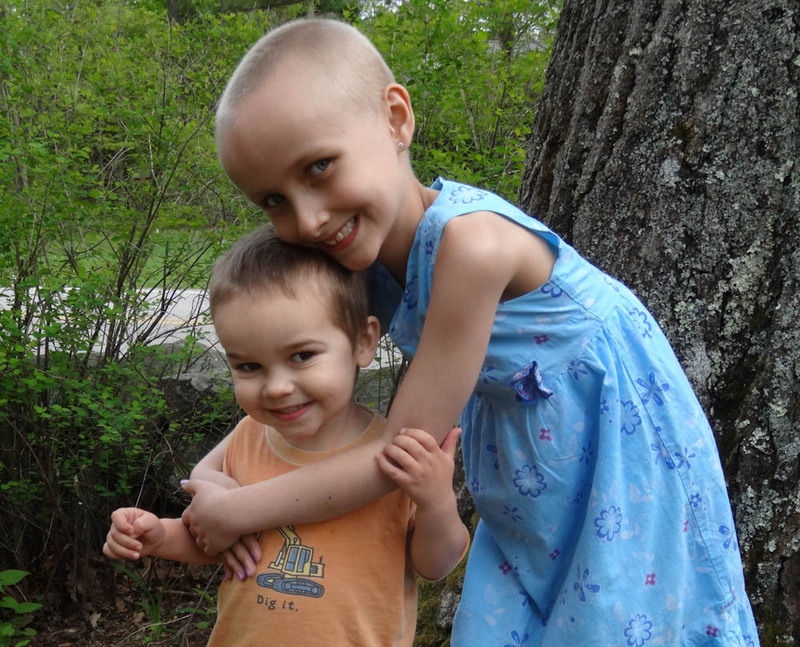 The Pediatric Cancer Genetic Risk Program at Dana-Farber/Boston Children’s Cancer and Blood Disorders Center, where the Kindstedts were treated, offers multidisciplinary care to families in this situation. During twice-monthly clinics, patients at increased risk for hereditary cancers and their relatives meet with pediatric oncologists, genetic counselors, psychologists and other specialists from Dana-Farber Cancer Institute and Boston Children’s Hospital for cancer risk assessments, recommendations for managing cancer risk, and psychosocial support. If a family is considering genetic testing, the family meets with Kamihara and her clinic colleagues to learn about genetics, hereditary cancer, and the genetic testing process, as well as to discuss the risks and benefits of testing. If a family decides genetic testing is right for them, it can be arranged through the Pediatric Cancer Genetic Risk Program – with adult relatives referred to the Dana-Farber Center for Cancer Genetics and Prevention. In cases where a family member is found to have an increased risk, the Cancer Genetic Risk team develops individualized programs to monitor for the earliest signs of cancer and in some cases to reduce the risks of primary or secondary tumors. “We’ve offered genetic counseling for many years, but we are now able to offer more families genetic testing at an affordable cost because of advances with genetic testing technology. This has allowed us to identify more families with hereditary risk. Learning this information can be difficult for families. But, many families have said that knowledge is power and appreciate the opportunity to be proactive. It’s exciting that we are able to make such a difference in the lives of families we see,” explains Jaclyn Schienda, ScM, CGC, a licensed genetic counselor with the Pediatric Cancer Genetic Risk Program. 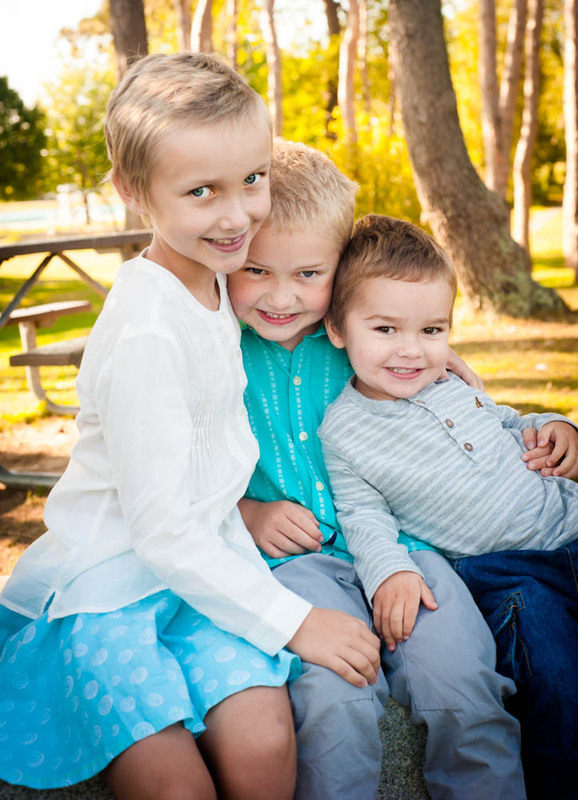 After Amy tested positive for the DICER1 gene mutation, younger brothers Thatcher and Hunter were tested as well. Photo credit Rachel Swain Photography. Among these families were the Kindstedts. Amy was a second grader when diagnosed in 2014 with pleuropulmonary blastoma (PPB), a rare tumor of the lung. PPB tumors can progress from a more benign to a more aggressive type if not detected early. Because she had a particularly aggressive form, her treatment required the removal of her left lung, radiation, and a year of chemotherapy. Knowing that PPB is often caused by mutations in a gene known as DICER1, her Dana-Farber/Boston Children’s care team tested Amy for the gene. Once they found she had a mutation in the gene, her parents, grandparents, and younger brothers Hunter and Thatcher were tested as well. 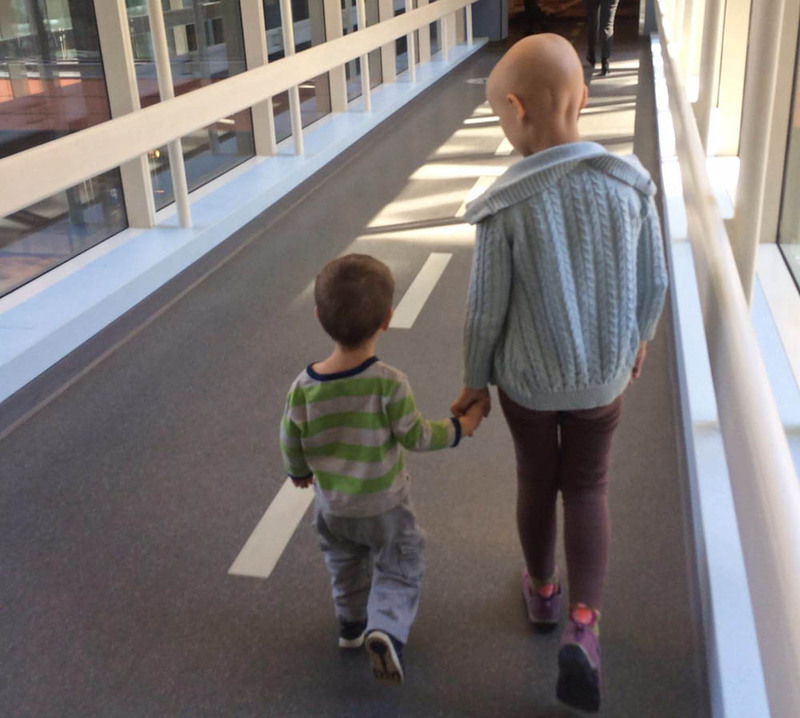 Amy walks with her little brother, Hunter, over one of the bridges at Dana-Farber.